This is just so easy and presented well. So good, so easy!! Enjoy! Sift together first 6 ingredients into a large bowl. Whisk together buttermilk and next 3 ingredients in another bowl. Gradually stir buttermilk mixture into flour mixture just until dry ingredients are moistened. Pour about 1/4 cup batter for each pancake onto a hot buttered griddle. Cook 3 to 4 minutes or until tops are covered with bubbles and edges look dry and cooked. Turn and cook 3 to 4 minutes or until done. 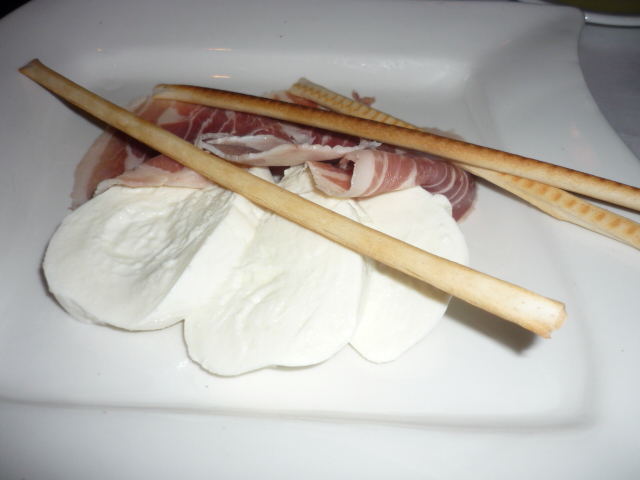 Serve with Sweet Cream-Cheese Butter. Beat cream cheese and butter at medium speed with an electric mixer until creamy. Gradually add powdered sugar, beating at low speed until blended after each addition. Add vanilla, beating until blended. Preheat oven to 350°F (180°C). Cook pasta according to package directions but reduce cooking time by 2 min. Drain. Heat half the butter over medium heat in the same saucepan, stirring for 5 to 8 min, sprinkle evenly with flour. Cook for 2 min. Slowly whisk in milk until smooth. While stirring constantly, bring to a boil. Cook, stirring frequently, for 10 to 12 min or until sauce thickens slightly. 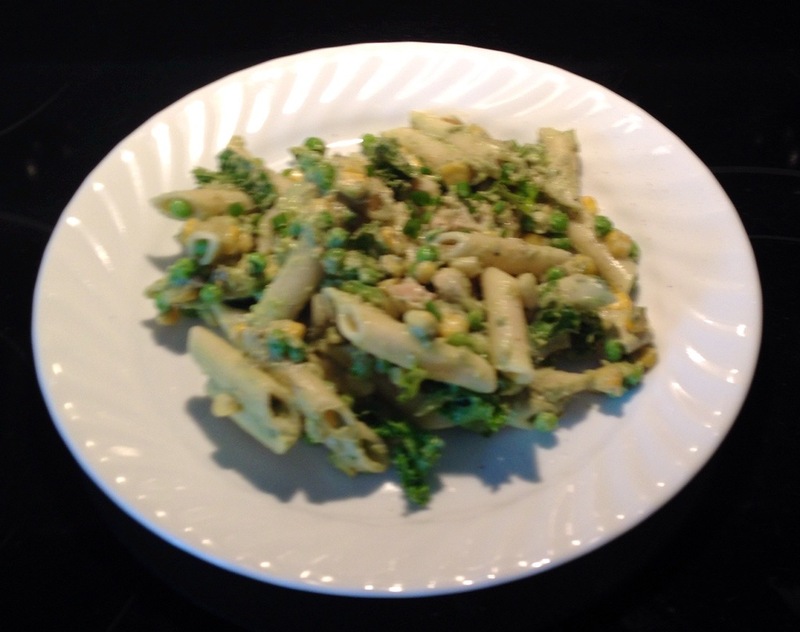 Stir in 1 ½ cups cheese and prepared macaroni. Meanwhile, in a large skillet, cook bacon over medium heat until crisp, about 10 to 12 min. Add all except ¼ cup bacon to pasta mixture; stir to combine. Transfer to a greased 13-in. x 9-in. (33 x 23 cm) baking dish. Top with remaining bacon and cheese. Bake for 20 minutes or until bubbling and golden. 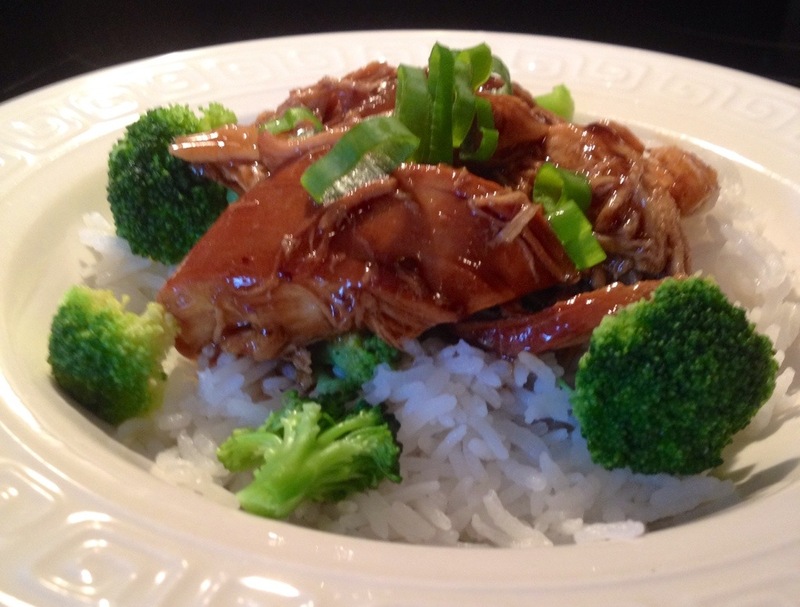 Arrange the chicken breasts in the slow cooker so that they are not overlapping. In a medium bowl, whisk together the honey, soy sauce, blackberries and blueberries, sugar, hoisin, olive oil, and onion, and then pour the sauce over the chicken. 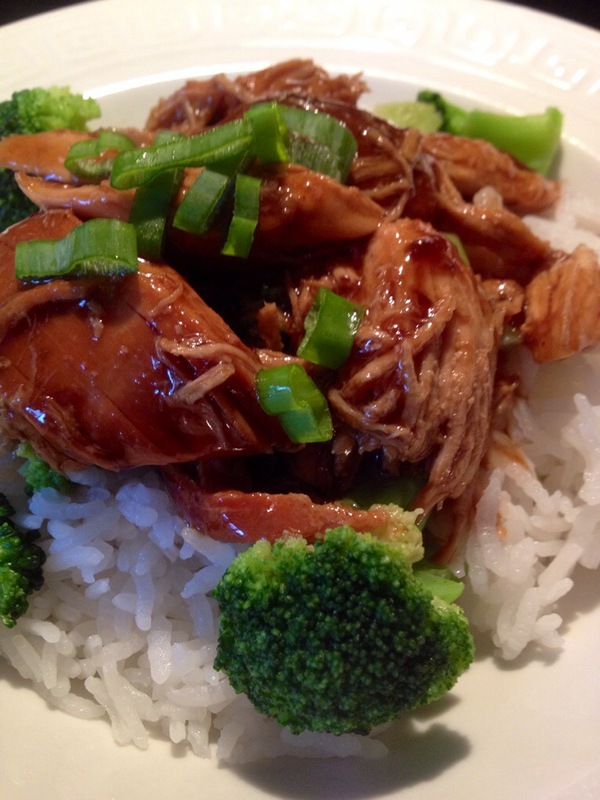 Cover the slow cooker and cook the chicken on LOW for 4 to 5 hours until the chicken is fully cooked. Using tongs, remove the chicken from the slow cooker (reserving the liquids) and place it on a cutting board. Shred the chicken into smaller pieces. In a small saucepan, whisk together the cornstarch with 3 tablespoons of cold water. Transfer the liquids from the slow cooker into the small saucepan set over medium-high heat . Bring the sauce to a boil and cook it until it reduces and has thickened slightly, about 3 minutes. Pour the sauce over the chicken, tossing to combine. 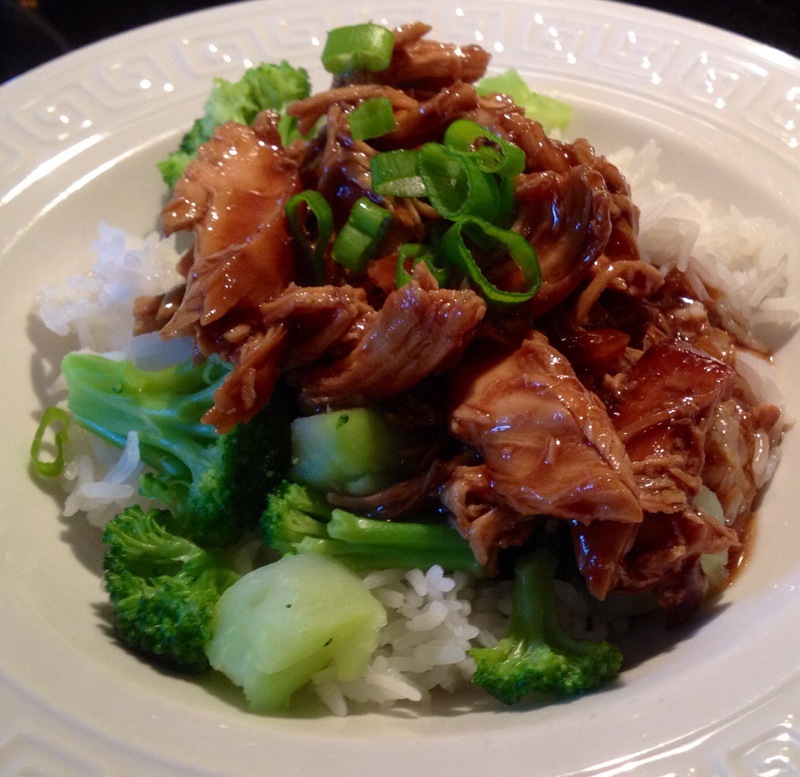 Serve the chicken topped with green onions. 1.For the dough: In a large bowl or the bowl of a stand mixer fitted with the kneading hook, mix together 2 1/2 cups of the flour, the sugar, salt and instant yeast. In a measuring cup, combine the warm water with the oil. Add this to the dry ingredients and mix to combine. Knead by hand or with the mixer until the dough comes together in a ball and is smooth. It shouldn’t stick to your hands or be dry and crumbly (**add more flour in 1/8 cup increments or more water in Tablespoons, as necessary to achieve this). 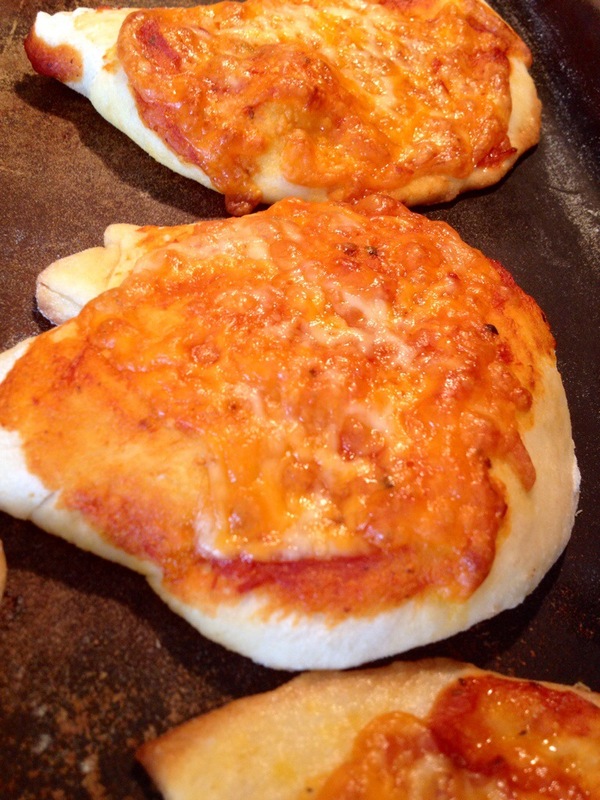 Grease a bowl and place the dough ball into the bowl. Cover with plastic wrap and let rise until doubled, about 30 – 45 minutes, depending on how warm your kitchen is. 3.Remove the dough to a floured cutting board. 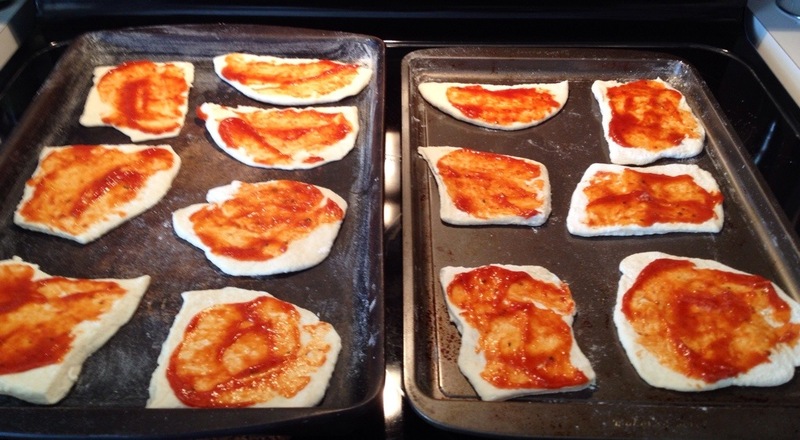 Cut the dough evenly in half. Cut each half in half again. Cut each piece in half again, to make multiple pieces. 4.Rolling: Dust a rolling pin and your rolling surface lightly with flour. 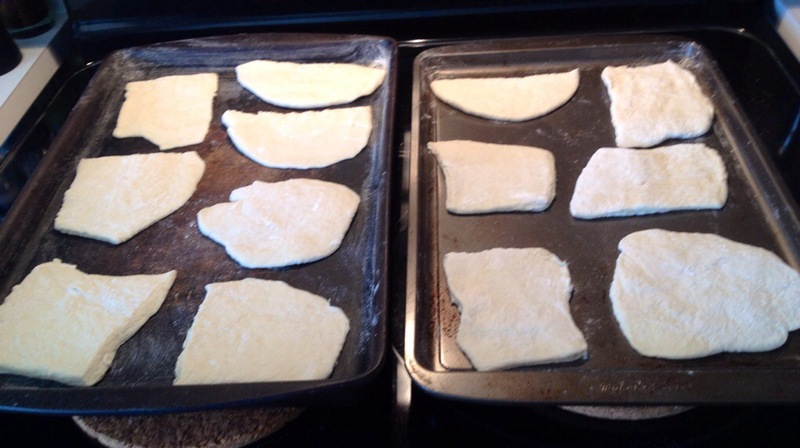 Take a piece of dough and roll into a shape about 1/4-inch thick. 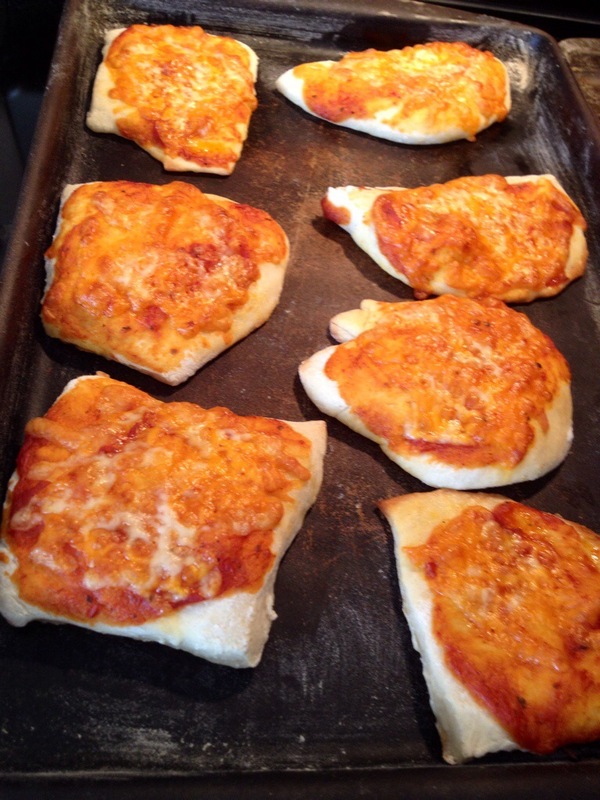 Place the dough shape onto the prepared baking sheet. Repeat with each dough ball, placing each on the prepared sheets (you can place them fairly close together as they don’t spread much). 5.Topping: With all your rolled dough on the baking sheets, using a teaspoon from your cutlery drawer (not the measuring kind) top each piece with a heaping teaspoon of pizza sauce (about as much as it will hold) and spread it over the top, going as far to the edges as you can without it going over the sides. 6.Top with a generous amount of cheese. Repeat with all the buns. 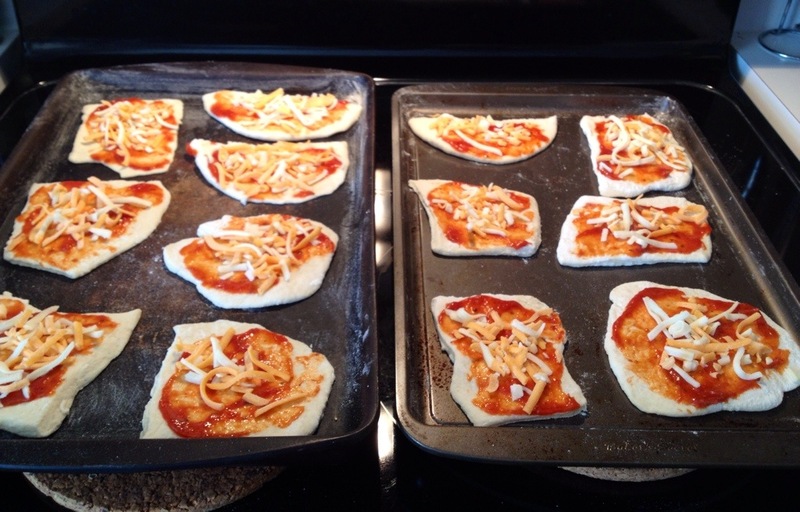 6.Baking: Preheat oven to 375° F. Place baking sheets in the centre of the oven. Bake for 18-20 minutes (for thin buns – longer if you made fewer, thicker buns). then remove buns to a cooling rack. Cook the pasta according to package instructions for al dente. Drain, rinse with cold water, and drain the cold water. Pour the pasta in a large bowl. 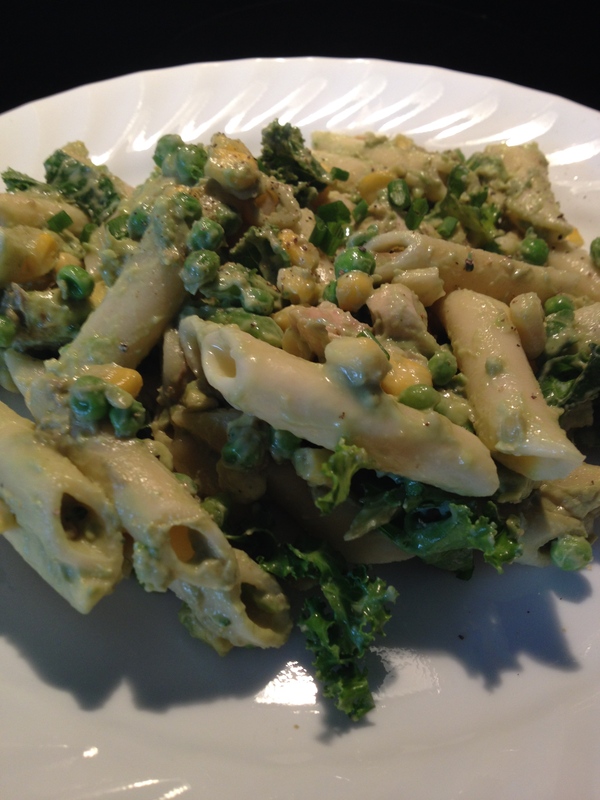 Toss the pasta with the peas, corn, kale, broccoli and diced grilled chicken. In a smaller dish mix together the Greek yogurt and avocado. You will have to smash up the avocado, so I usually use a fork to smash/stir. When the mixture is creamy and smooth, squeeze in the lime juice. Stir. Pour the dressing over the pasta and veggies in the bowl. Stir to coat.